The ancient monument Het Steen is undergoing a substantial renovation. Het Steen will be the gateway to Antwerp in 2020 and familiarise visitors with the past, present and future of this attraction. In the meantime stroll past the building, take lovely photos and discover what's in store for the building at the information stand. Het Steen is the oldest building in Antwerp - the first stones date from the 11th century - and over the centuries it has fulfilled several functions. It is located along the Scheldt River, near a former peninsula called De Werf. The first settlement with earth walls appeared on De Werf in the 9th century. It became a fortress. Around the turn of the century, between the 12th and 13th centuries, a stone fortress wall and Het Steen, one of three gatehouses in the fortress, were constructed here. Het Steen was substantially refurbished under Charles V at the beginning of the 16th century. You can still see the colour difference in the façade. Het Steen was used as a prison until 1823. After serving shortly as a residence, sawmill and fish depot, Het Steen opened as a museum in 1862. Initially it was the Museum of Antiquities and from 1952 to 2008 it served as the National Maritime Museum. Now you can admire that collection in the MAS | Museum aan de Stroom. 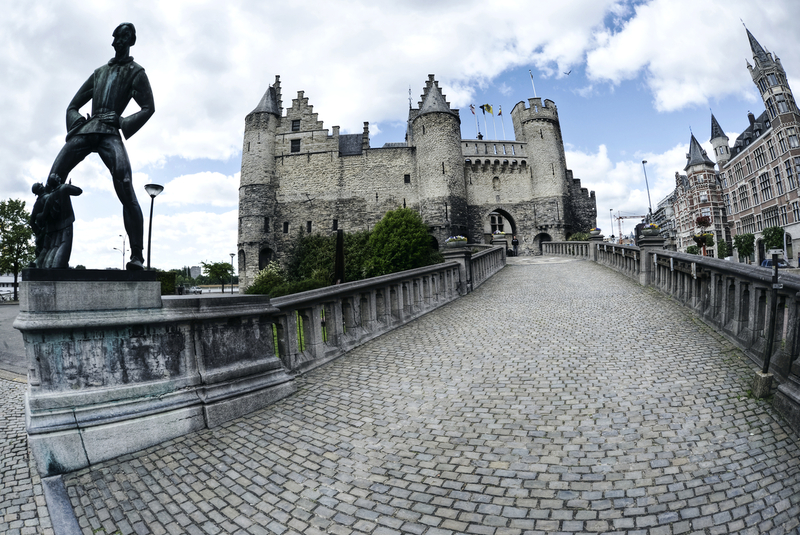 Be sure to walk past Het Steen when you visit Antwerp. You'll feel like a knight or a lady in the castle setting. It's the perfect background for a fairy-tale photo along the Scheldt River. Open in weekends between 1.00 pm and 5 p.m.